Check out Tobi's Divinity Crop Top Longline cropped bralette top with strappy crisscross back details. Features crochet lace trim and band, perfect for all your summer festival needs. Available in black, blush, and ivory. 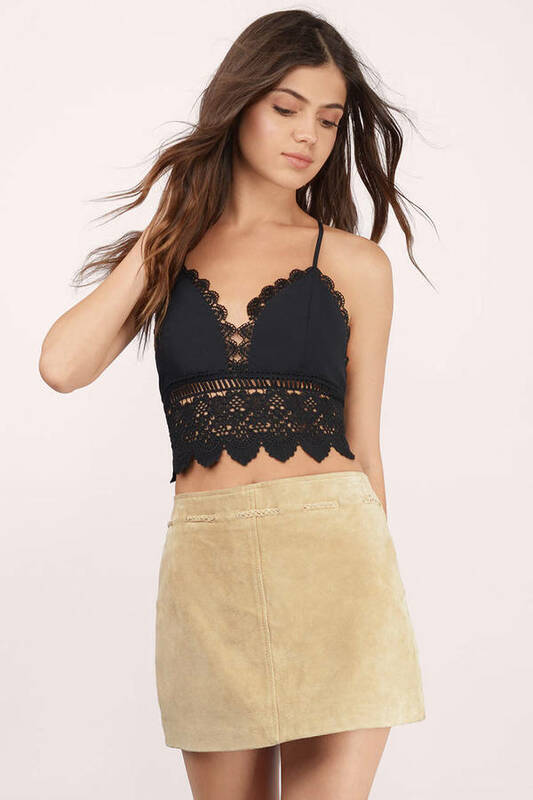 Longline cropped bralette top with strappy crisscross back details. Features crochet lace trim and band, perfect for all your summer festival needs. Available in black, blush, and ivory.